We love love love having the Potomac Nationals practically in our backyard, and with opening weekend coming up THIS WEEKEND, I want to share some details with you! I want to admit right up front that I absolutely LOATHE watching baseball on TV, but I love a game in person! It’s so much fun to get the family out and cheer from the grandstand! I am a total sucker for the wave, and I want it to go as long as possible. Yeah, I’m that person doing it one more time than everyone else. So what? My kids think Uncle Slam is just about the coolest thing on the planet. I haven’t figured this out yet. That little blonde guy? I have absolutely ZERO pictures of him with the Easter Bunny (and he loves bunnies) because he thinks the Bunny is terrifying. Uncle Slam? AWESOME. Your individual results with that may vary, but it works for us! The P-Nats also run some great promotions. Check it out! We especially love an inexpensive mid-week game (see the Monday/Tuesday games) and we also love Scout Night! **Details on each promotion on the P-Nats Website, subject to change or alteration without notice. Also, be sure to check out the details on Uncle Slam’s Reading Program! Students at your school can read books to earn free Potomac Nationals tickets! This is a really great alternative if your school has banned the pizza reading promotions due to healthy eating restrictions. We’ve also participated in the Scout Nights where the Nationals also offer camping on the outfield! We had a really great time. Not much sleep, not much quiet, but a really great time! 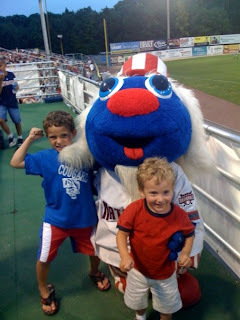 PwcMoms.com is really excited to work with the Potomac Nationals this summer to bring you both information and free tickets! Our first ticket giveaway is for a family 4-pack of tickets to the April 20th Superhero Night, where you and your kids are invited to have even more fun dressing as your favorite super hero!! Want to win? You have several options, and can get an entry for each one! 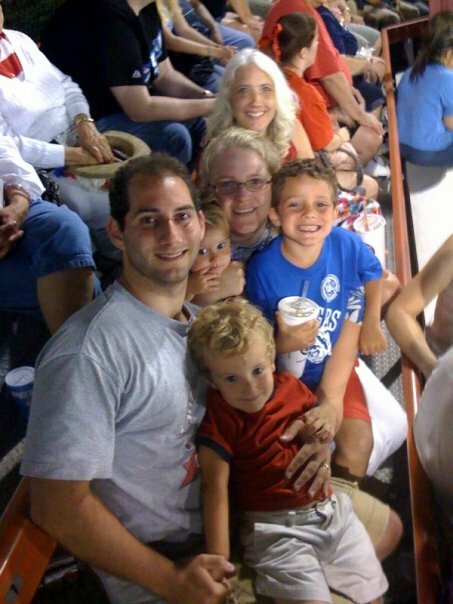 2- Tell the Potomac Nationals you’re excited they’re working with PwcMoms on Facebook! (You only need to do this once. For subsequent giveaways (one each month all baseball season!) you can just leave a comment that you did. Be sure to leave a comment telling us you did this step, as the comment here is your entry! 3- Have a blog? Share your favorite Potomac Nationals memory and get 5 extra entries! Be sure to link back to this contest, and leave a comment with your blog link. Disclosure: PwcMoms.com was generously provided with tickets to give away to readers. No other compensation was given in return for this post. All opinions expressed here are my own and all information is valid as of the time of publication.